In this article we will show you how you can get MasterCard PAYEER , and you will see that is very easy to have a MasterCard PAYEER . The MasterCard payeer is a prepaid card , you deposit money in you payeer account and then , you transfer the money in your account payeer to your mastercard , which is directly attached to your payeer account , and when you do this , you will be able to use your debit card payeer to buy or sell in the internet , and remember an important thing that you mastercard payeer is not a debit card , but a card in which you can use only the money that we have in your payeer account . The card is free , but you need to pay at least 9.95 dollar to the card in order you can work with this card only the 9.95 dollars , that will be pay using your Payeer account. The debit card take between 3 days to 21 days to arrive . first of all you go to the main page of your payeer account , you click on »MY CARDS » , after that , you click on » ORDER CARD » , next , complete the online order forum , after you do this , please click on « Continue », after that you will be redirect to the page where you will pay the fee of the delivered , the fee are just 9.99 dollar , you will pay using the funds in your payeer account . using the payeer mastercard , you can withdraw money, purchase in the online stores .you can use this card this card in all the countries who accept mastercard . 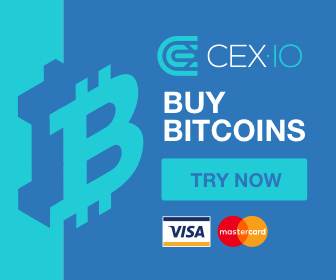 bitcoin mastercardbuy virtual credit cardfree master cardfree mastercardhow i can use payeer ?how to get a mastercardhow to get payeer mastercardhow to use payeermastercard freemastercard worldwideonline shoppayeerpayeer bitcoinpayeer cardpayeer credit cardPayeer descriptionpayeer explication of usepayeer hyippayeer mastercardPayeer to bitcoinpayment onlinepayment systempaysafe mastercardprepaid mastercard onlineprepaid virtual visa cardvirtual cardvirtual credit card freevirtual mastercardvirtual prepaid mastercardvirtual visavirtual visa cardvirtual visa card freewhat is payeer ?